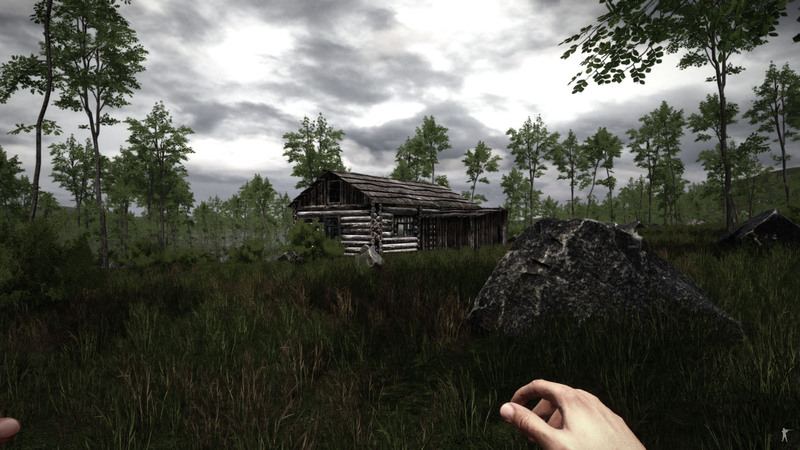 Developed by a single developer and using a custom made game engine, Dangerous Rays is a single player indie open world first person shooter with some survival components inspired by the S.T.A.L.K.E.R* and Half Life* game series. 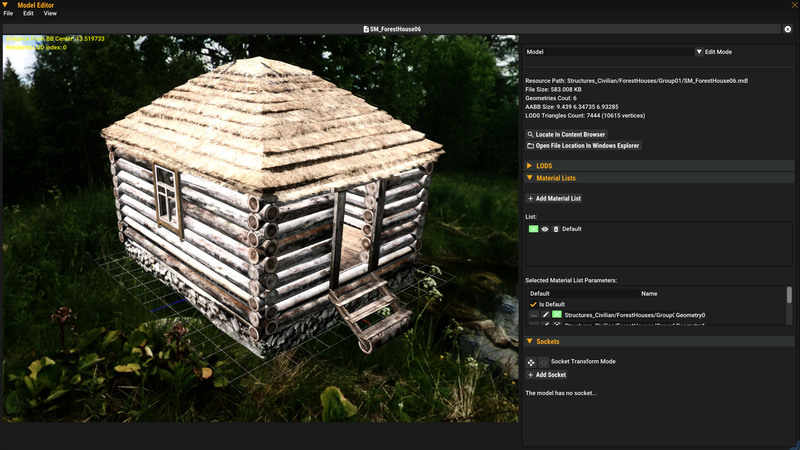 The game feature extensive modding capabilities with a complete set of modding tools directly integrated into the game. Dangerous Rays is currently in early access and we need your support to be able to continue the development and make the best game possible. The game is going to be released on itch.io and Steam in the future. Summer has now passed and it's time for a new dev progress update ! - First, the new version is simply not finished. Although a lot of gameplay elements from Alpha 17 version are added in the game code, those pieces of gameplay elements are not polished and assembled together right now and I need more time for this. - I want to deliver more playable content than you can find right now in Alpha 17. The new engine I made for the game is now in a very good shape and I was not expecting to deliver that level of quality when i started the work on this new engine so now I can raise the bar a lot higher and deliver a really polished indie game. I'm not competing with big AAA games like Red Dead Redemption 2 or any other games so there's not point for me to rush the release. I'm clearly diving into the gameplay stuff now that the engine is polished enough so you can expect to see gameplay elements around Christmas. I'm planning to do a big media (videos and screenshots) at the end of December to thank you guys for being patient during all those years. I want to do a very special thanks to the Patreon supporters ! Your support is VERY important right now and until the new version is out, Patreon is the main revenue source for me now so do not hesitate to join and support Dangerous Rays development on Patreon (You can choose to give support for 1$, 5$ or more per month if you want to). 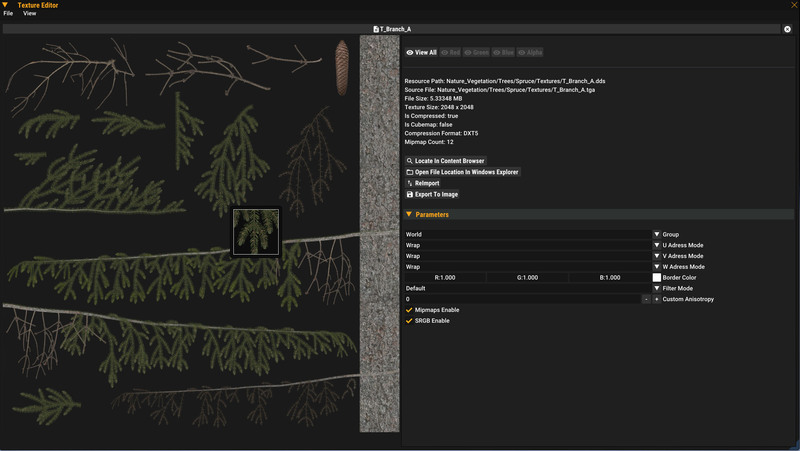 Tons of new vegetation assets has been added in the game (trees, bushes, mushrooms, dead trees...). Those assets were bought entirely with the money raised on Patreon so thank you Patreon supporter's ! 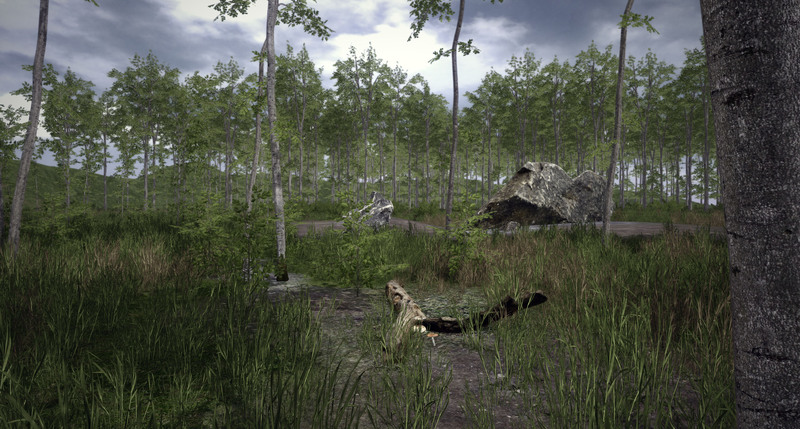 As you can see the new vegetation look is quite a leap forward compared to the old vegetation use in Alpha 17. 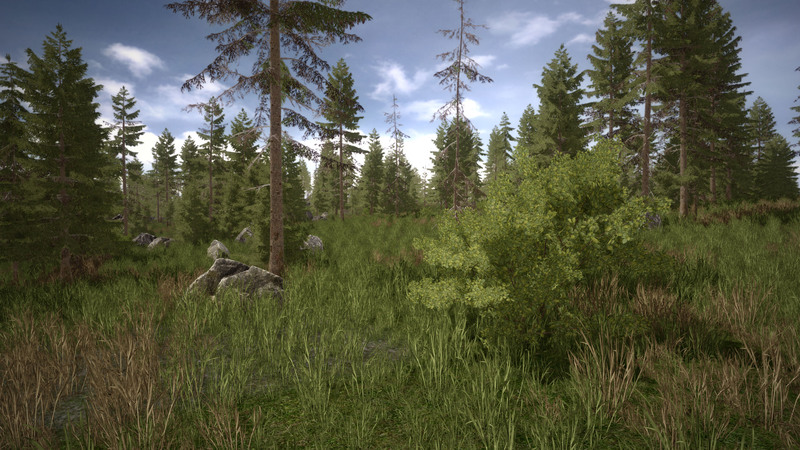 I have made a tons of optimizations in the engine so now the vegetation is much less performance intensive. 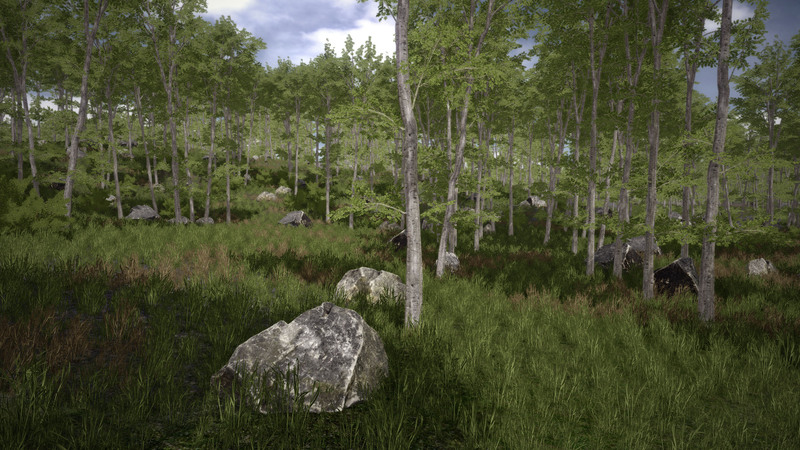 Therefore I can make vegetation areas much more dense than before. I'm not done with vegetation, birch trees are coming and they look gorgeous. The grass will also have a new look with a lot of wild plants and different shapes and sizes according to the terrain surfaces (grass, dirt...). In the video below you can also see that the trees are swaying according to the wind. They're not static anymore. I have added several new buildings and I have a tons more to add in the near future. 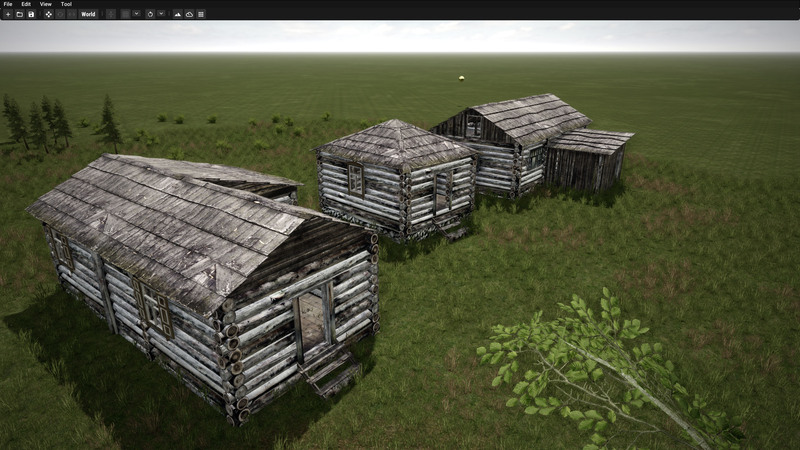 While the alpha 17 version only had around 10 different building, the Alpha 18 will feature more than 100 unique buildings (houses, industrial buildings, farms...) and dozen of variations. As discussed before, the new buildings are much nicer with higher polycount, much better texturing work and most importantly, there is consistency with the game "universe" regarding their art style. 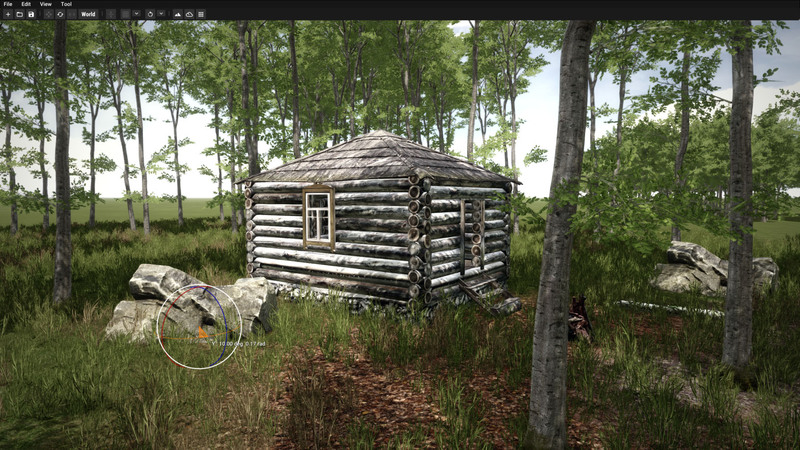 And here is a comparison screenshot with a forest house from Alpha 17 just for fun ! I have done several graphics and performance improvements during the last weeks. - Core renderer optimizations, I have done several optimizations on the CPU side to improve the rendering performances. - Terrain rendering optimizations. Now the distant parts of the terrain are using a different shader wich is less performance intensive than the shader used for parts that are rendered near the player. 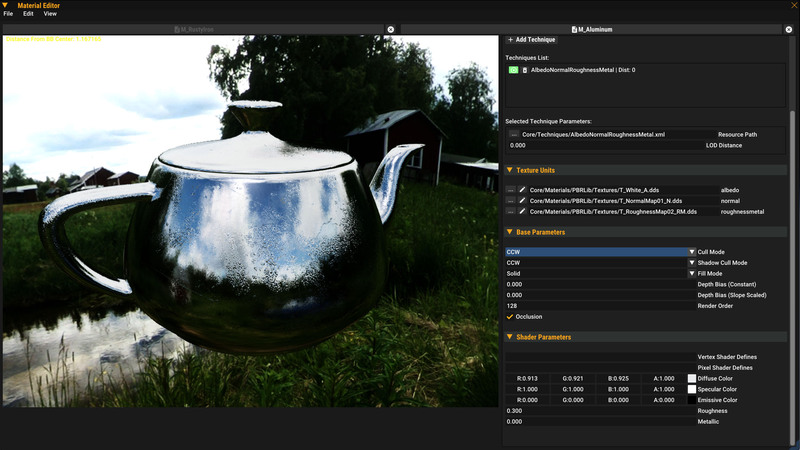 - New Filmic Tone-Mapping post process shader. I have improved my tone mapping shader so now the final image look less "shiny and colorfull" to cope with the dark mood of the game. 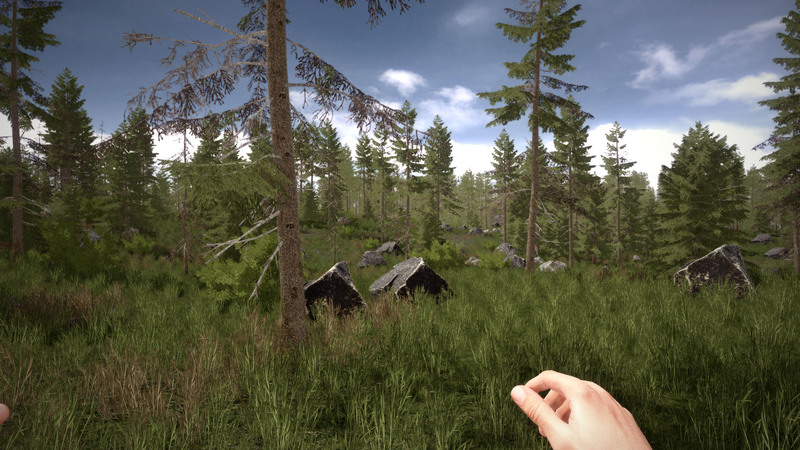 The effect is much better than the one used in Alpha 17 since it do not destroy colors and desaturate them too much. - Added Ambient Occlusion maps support into the material system. It's adding a bit of realism on models lighting. Here you can see a comparison screenshots. You can see the light occlusion difference at the jerrycan handle area. Small change but good change and almost zero performance cost. The only thing missing in the rendering system is the support of particles. There is already a particle system that I made some month ago but i'm not satisfied with it. It's too complicated to use and I'm going to code a much simpler system. That should not be very long to do. More info on this soon on Discord and in the next dev diary. 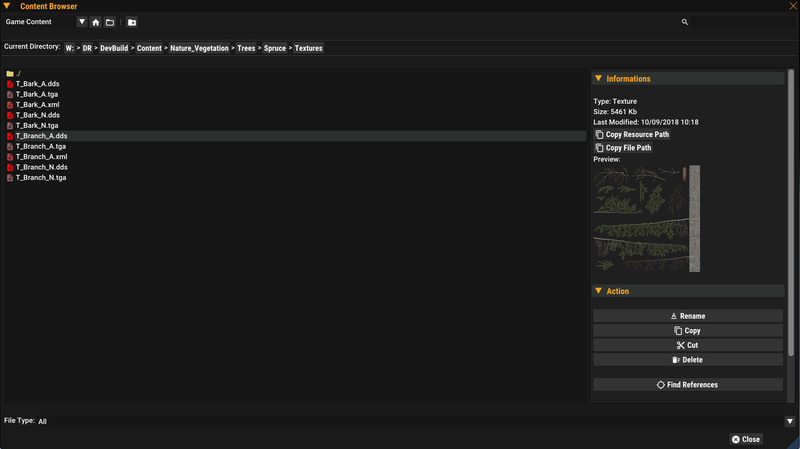 Of course there is always something to improve in the game editor ! I have done a lot of UI and functionality improvements. Here is more screenshots of the different tools that you will be able to use for modding purposes. This is one of the things I am the most proud of because I will be able to deliver quality modding tools from day one on Steam. I have started my work on the new procedural generation system. I can't say much for now as it's still very WIP but you can expect a tons of improvements over the old system used in Alpha 17. The new system will generate much more realistic and beautiful landscapes. Xavier is helping me on this task. He is currently working on the road network generation. Road network generation is a crucial element in the whole procedural generation process and it's an area that was very weak in the old version so this time I don't want to make the same mistake. Screenshots for this are coming soon. Gameplay stuff is coming ! As I said i'm currently diving into the gameplay coding and I'm very exited about it. Right now I am coding doors, health system, weapons, crafting logic... I'm doing a lot of thing in parallel and I will show the first gameplay elements in some videos and screenshots that will be released in a new dev diary that will be published at the end of December. That's all for now, thanks for your support and stay tuned ! You can react/comment on the community forums or on the discord server. Hello everyone, In this big dev diary i’m going to summarize what has been done for Dangerous Rays since the beginning of this year. Dangerous Rays new website, discord server and Patreon page ! Hello hello ! Time for a new dev diary and this one is quite big. Four years later and still in Alpha. Was I wrong all that time ago? Lmao. I think im gonna develop a game, show a few screenshots and ask for everyone to donate their money to me monthly as well. I'll see how your getting on in another four years. Don't worry it is actually, in the beginning of the month Oldsnake the lead dev , posted that he was away cause he moved in a new house and have a lot of businness to take care of , he is back on track and they would be a new dev diary soon ! In House build engine? Well done! I recently bought this game and am downloading it currently. I just wanted to tell you that your website says the game is 8 USD. When buying the product at 12.99 EU the conversion rate totaled 16 USD. Perhaps you should think about changing your website to avoid any more confusion? Sorry for this ! The USD price was not updated correctly after the end of christmas sales. It is fixed now, thank for your report. I installed both versions 16 and 17 and upon starting the game I get a notice window and it prompts me to press and key to continue but it wont close no matter what key I press. I ended up playing the game through the alternative .exes and when I try to generate a world it crashes around 2 minutes in generating things. Please contact support@lonelybitsgames.com and i will provide support. Thank you. I'm happy to say that I did fix it myself. I ran it as admin and it fixed it.